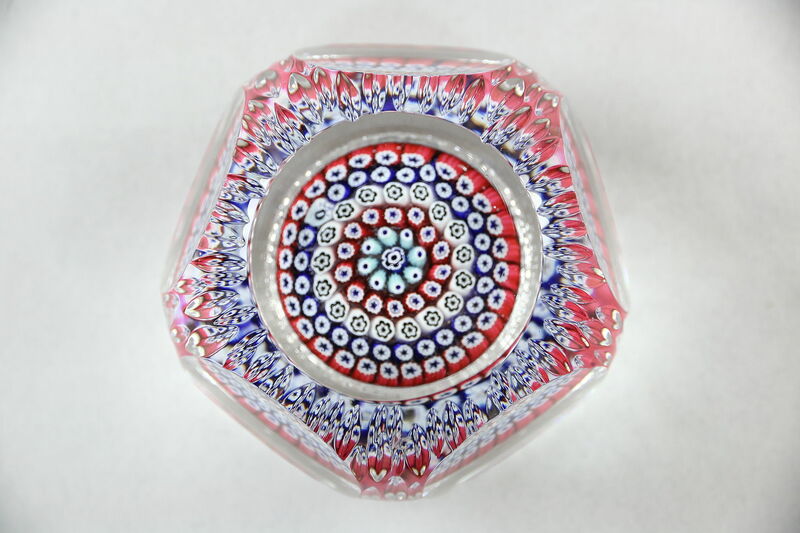 A faceted Whitefriars concentric millefiore paperweight has embossed ribbing. There are scuffs and some very tiny flakes at the edges. Size is 2 3/4" x 1 1/2."